6.5"W,1.25"H Show a little love with a special edition, signed Lastra heart dish presented in VIETRI's new signature gift box. This go-to gift for Mother's Day, weddings and anniversaries is perfect for sweet treats, jewelry or fragrant soaps. 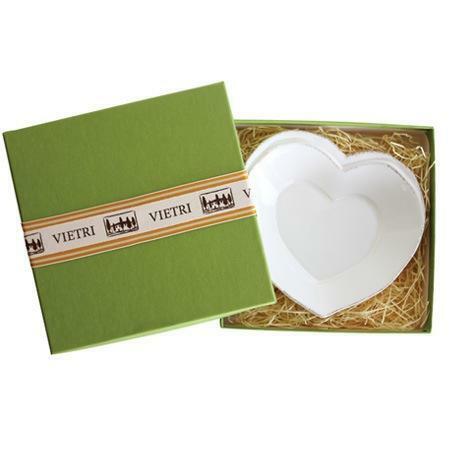 Handcrafted in Italy of Italian stoneware, these pretty boxed hearts are signed by artisan Stefano Roselli.